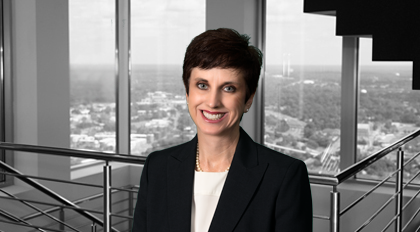 Jennifer E. Braccia practices in Moore & Van Allen's Litigation group. Drawing from her extensive experience working for the federal court system, she assists the Firm and its clients with the intricacies of federal court practice and procedure. Before joining Moore & Van Allen, Braccia worked as a Law Clerk to Western District of North Carolina United States District Court Judges Whitney, Mullen and Voorhees and to Magistrate Judges Keesler and Horn, and also as a Pro Se Law Clerk. She also served as an ethics instructor at Central Piedmont Community College, and as an Assistant United States Attorney in the Southern District of California in San Diego, California. Braccia also clerked for Magistrate Judge Ruben Brooks in the Southern District of California from 1995-1997.